Esquire - Crystal Clear Pickups '50's Inspired Esquire pickup. Known for there clean natural tone and simple design, Our '50's Esquire pickup are a perfect example of this. 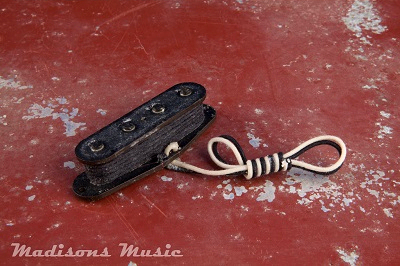 Hand wound vintage style black bobbin with alnico 3 magnets. The pickup offers that signature spanky tone with clear defined highs and very punchy midrange. Our Esquire pickups have the individuality to stand on there own!